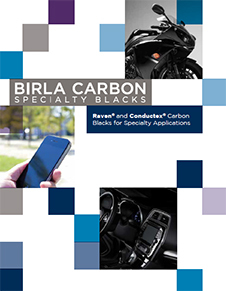 Conductex® 7054 Ultra® by Birla Carbon is a high-performance conductive carbon black. Offers good electrostatic dissipation, easy dispersibility, superior surface smoothness, and excellent strippability. Provides very low extractable ion concentrations, improved melt flow and volume resistivity. Conductex® 7054 Ultra® can be incorporated into thermosets or thermoplastics for color, tint or functional characteristics. Recommended for wire and cable insulation shield application.